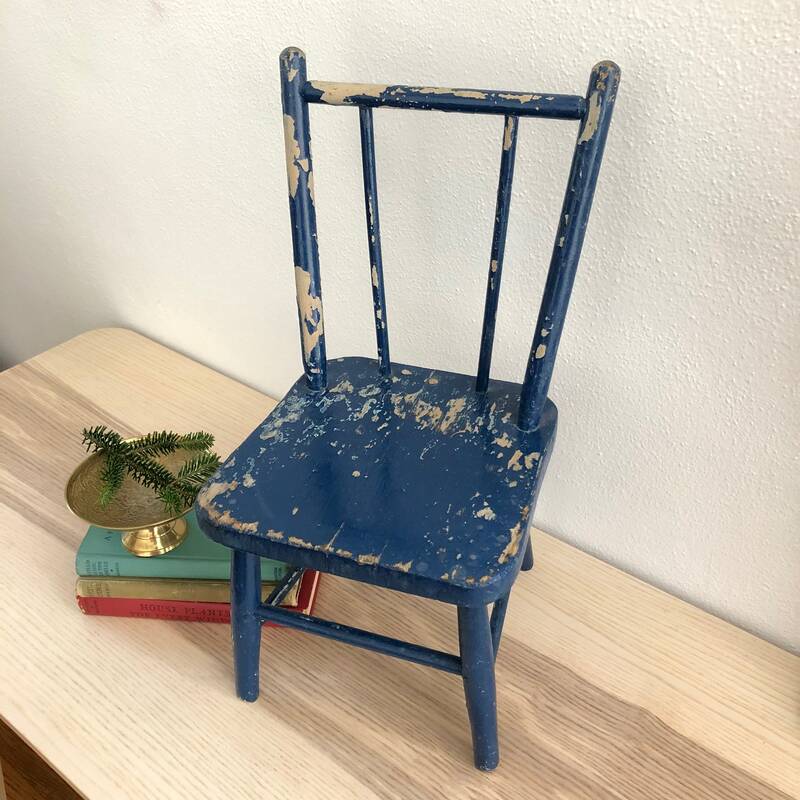 This very chippy bright blue mini chair is the perfect pop of color for your decor. 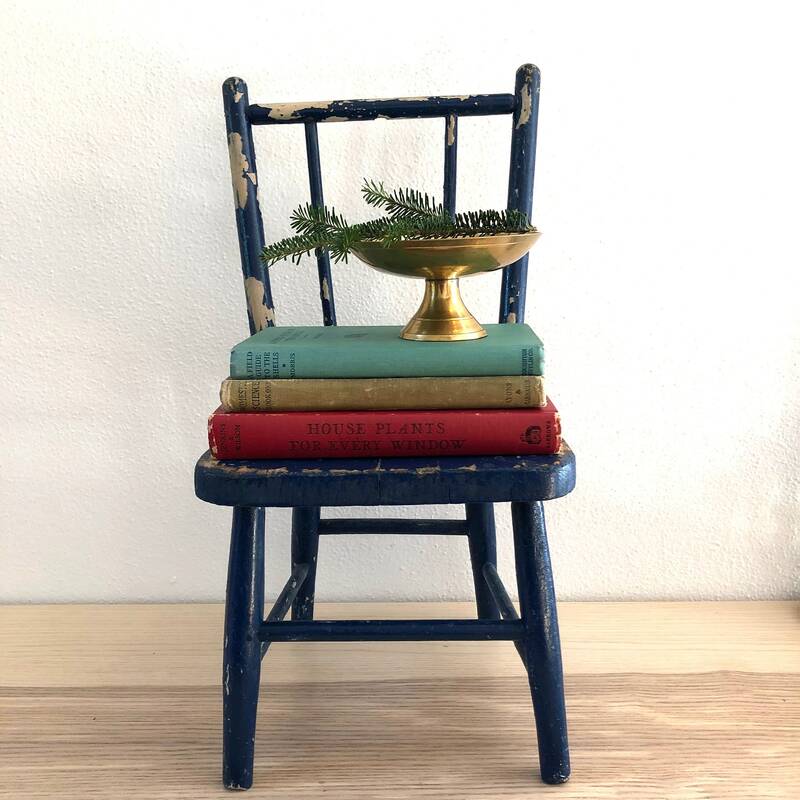 Shabby and chic, this cute little vintage wooden chair makes a perfect plant stand. 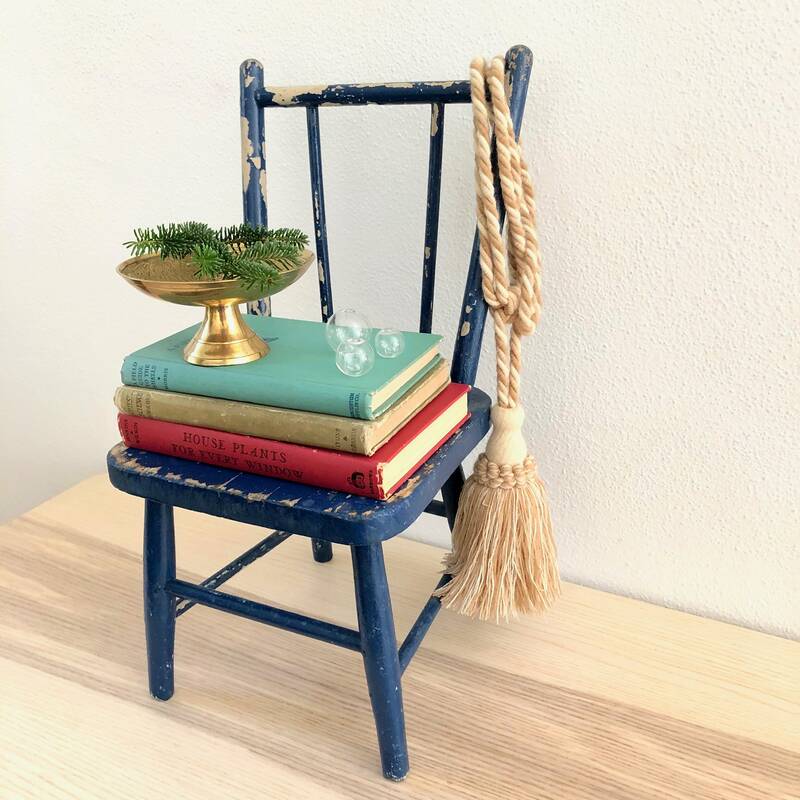 As you can see in the pictures, this chair is missing it's center spindle and it is VERY chippy. The paint continues to chip off with any and all usage. 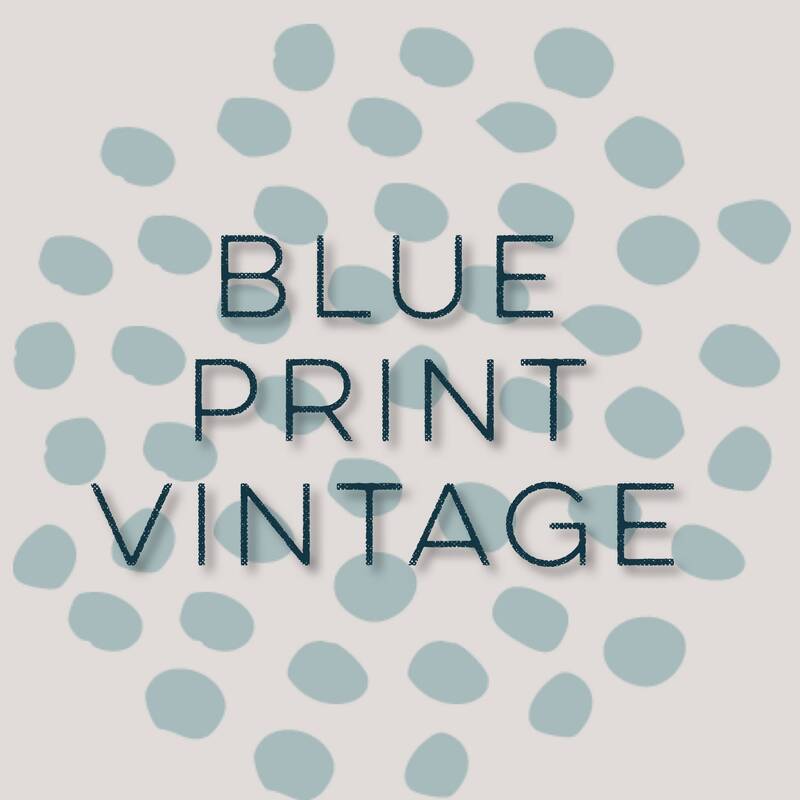 It truly is the embodiment of "shabby", but its bright cheery blue color makes it so fun!